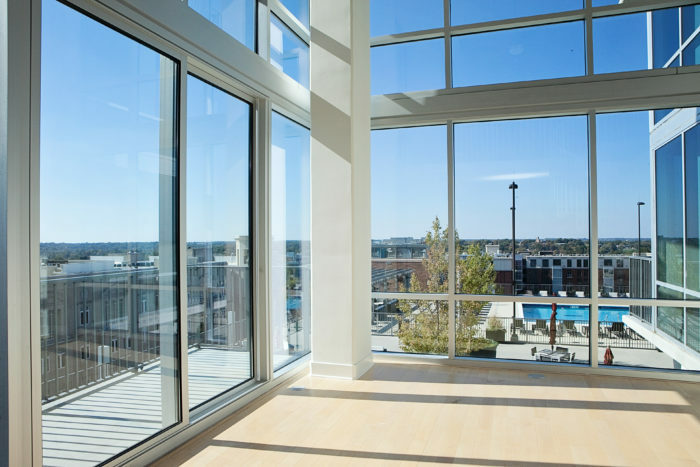 The VUE is the #1 apartment community in Charlotte. 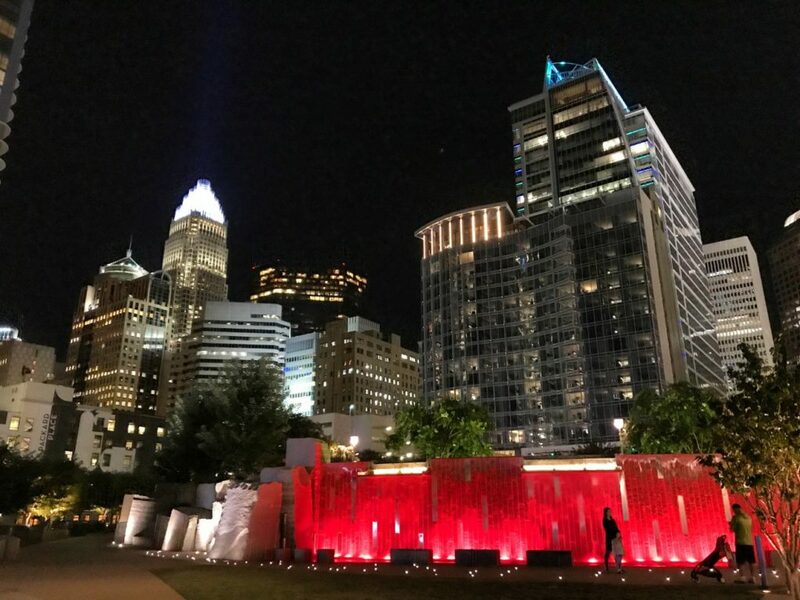 In a recent Agenda survey to our 36,000+ daily newsletter subscribers, we asked “What’s the #1 apartment in Charlotte?” The VUE, located in Uptown, easily landed at #1 — more than tripling the votes received by second place finisher, Ashton South End. 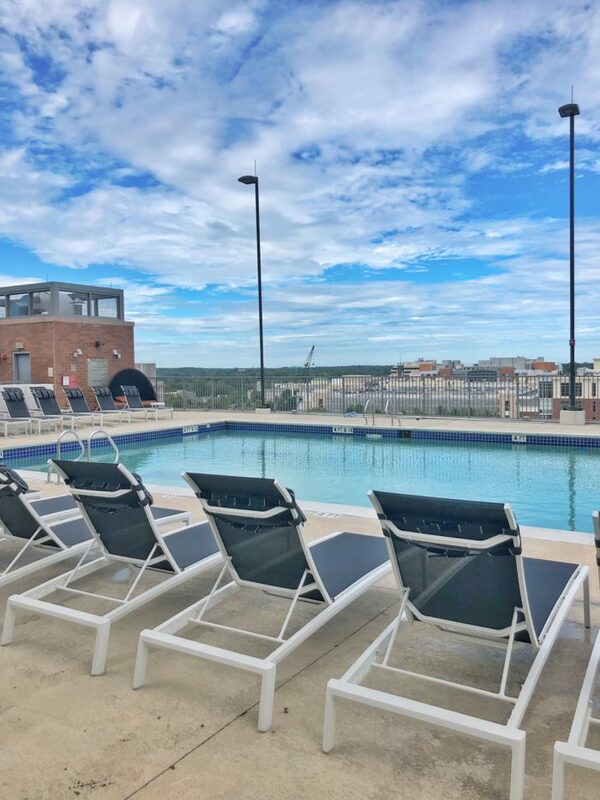 From movie theaters to dog-washing stations, every new Charlotte apartment community seems to have bigger and better amenities than the one before it. But The VUE was built in 2010, which means that the coolest kid on the apartment block isn’t the newest one. In fact, Charlotte’s best apartment complex wasn’t even built to be apartments. 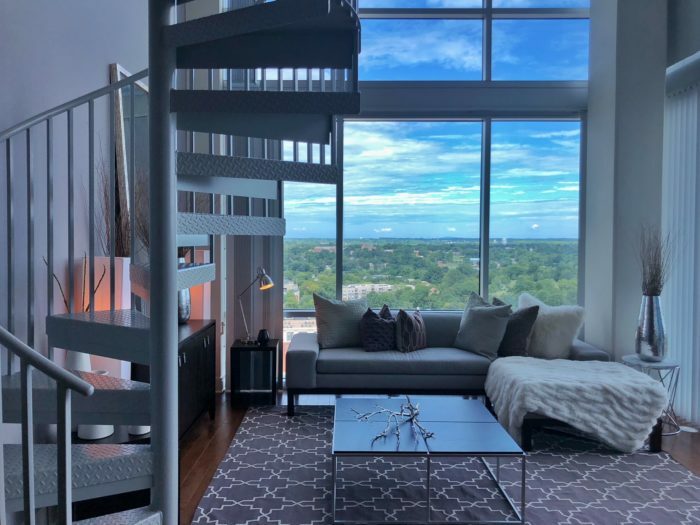 The VUE (that stands for Vertical Urban Experience) was originally constructed as luxury condominiums—just one of many reasons that almost a decade later this 51-story Uptown skyrise is still considered the sexiest rental address in town. 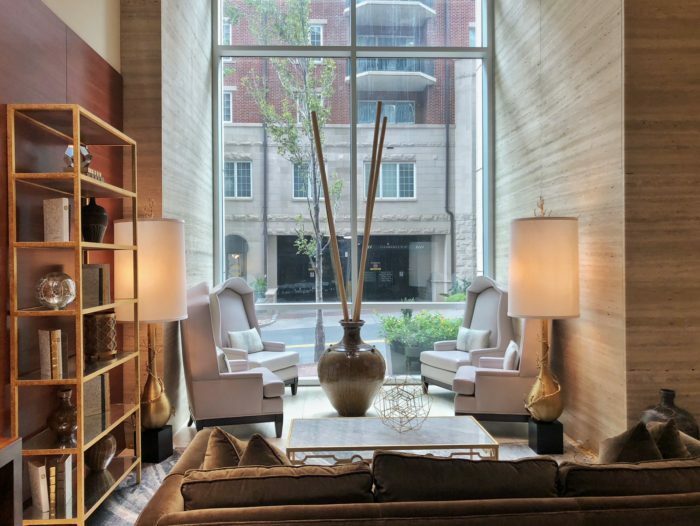 The lobby of The VUE in Uptown’s Fourth Ward feels part upscale hotel, part inviting living room. A friendly concierge greets visitors and residents from behind a dark wood counter, white orchids rest on a center table, and plush velvet sofas are flanked by marble-top tables in the high-ceilinged room. The 560-foot-tall building is the state’s tallest residential structure. When its current owners, Northwood Ravin, purchased the property in 2011 and began leasing the units, 25 had already been sold as condominiums. Today, Northwood Ravin has purchased back all but 11 of those units. The original condo plan though means that in places where builders might typically cut corners for renters, The VUE is filled with all the bells and whistles. 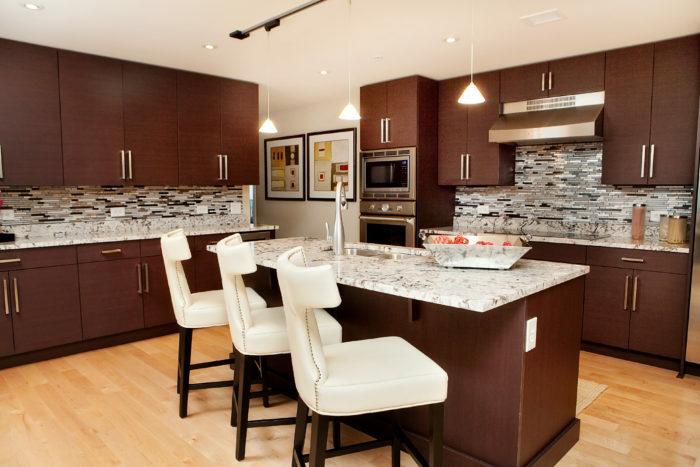 Details like real hardwood floors, granite countertops, and top-of-the-line stainless steel Bosch appliances make each of the 395 units unique. 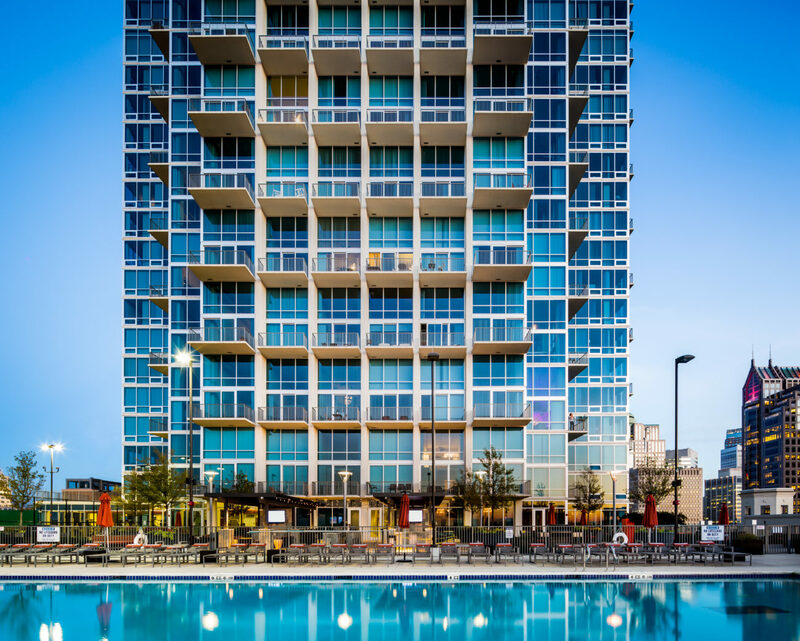 And shared aspects like the 35,000-square-foot 8th floor deck with a Junior Olympic-sized pool, tennis court, and courtyard featuring outdoor fireplaces set the complex apart. 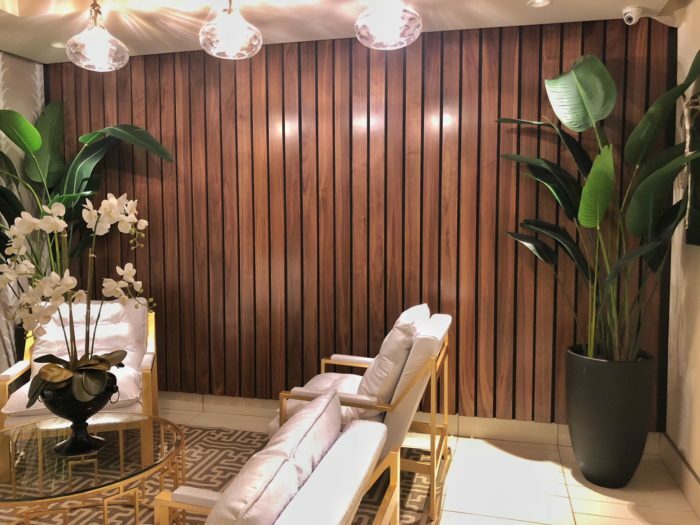 Round the Clock: There’s a 24-hour concierge at the front desk ready to call for a car, sign for a package, and, of course, show discretion when admitting any high-profile residents or guests. 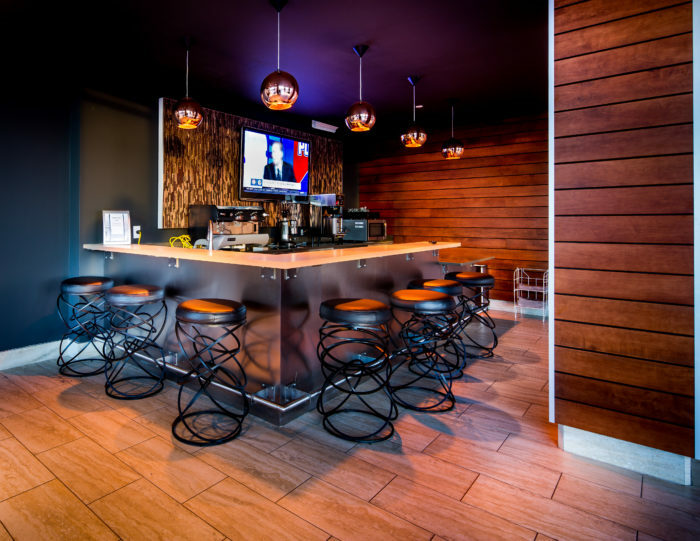 Look for the beloved Johnnie Walker who knows every tenant’s name (and pet’s name), and who doubles as a mixologist—complete with a white button-down shirt and suspenders—at the building’s SKY Lounge Bar. Play Day: If you’e active, this is your spot. 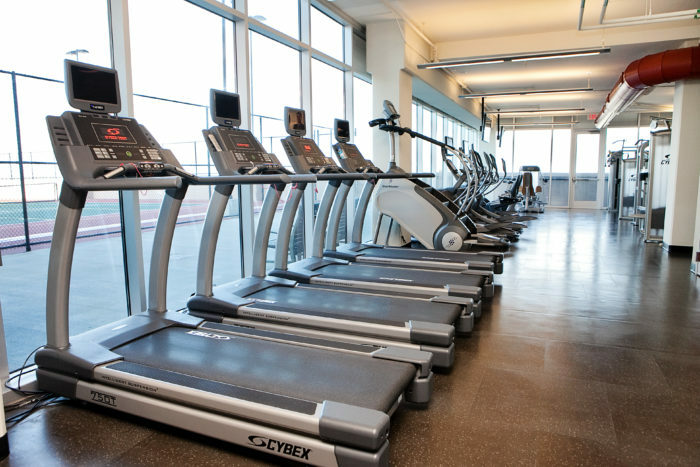 In addition to the pool and tennis court/basketball court, there’s a CrossFit-style gym, a full-sized gym with classes and trainers, a putting green, a full-size golf simulator, a game lounge, ping pong tables, billiards, a piano, foosball tables, a shuffleboard, Peloton bikes, and even a new spa with saunas and steam rooms to unwind in when you’re finished. Drink Up: In addition to an exclusive on-site cocktail bar, the complex will offer poolside mimosas on Saturdays starting in summer 2019. Plus, every weekday morning between the hours of 6 and 10 a.m. there’s a barista on site making speciality coffee drinks—for free (tips encouraged). Fast Ride: The elevator ascends at 65 miles per hour. That’s fast enough to get to those top-floor cocktails in a matter of seconds—and fast enough that your ears pop on the ride. The pricing fluctuates daily depending on supply and demand, so keep an eye on the website. Studios that are under 600 square feet can start around $1,400, while penthouses that are more than 3,000 square feet can range up to $8,700. Each unit comes with at least one parking space and the complex is pet-friendly, allowing up to two pets per unit. The one-bedroom units facing Uptown may be what really set these apartments apart. All one-bedrooms are lofts with dramatic two-story ceilings in the living room featuring floor-to-ceiling windows. 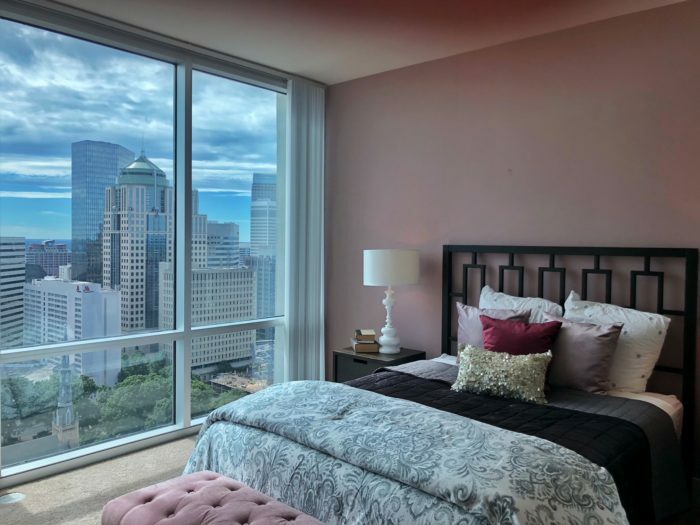 Because The VUE is set several blocks away from the rest of Charlotte’s tallest buildings, the result is an up-close panoramic view of the city’s skyline from every angle in the apartment. Final tip: Renters tend to stick around (no surprise there). Many of the residents have been in the building for several years. So, if you see a unit you like, be ready to move fast.